The strength of stones. The grace of metal and the wisdom of wood. The beauty of pearls and the wonder of shells. 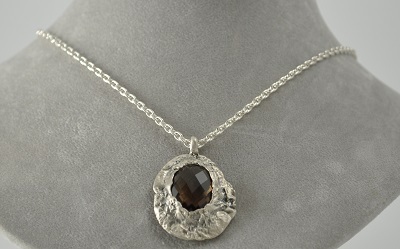 These are just a few of the secrets behind the stunning beauty and elegance of hand-made “Ancient Modern” jewelry by artisan Liza Shtromberg. As one of todays most respected and acclaimed creators of unique, one-of-a-kind jewelry items, she is recognized the world over for her discerning taste and unrivaled ability to evoke the wonder and energy of nature in every piece she creates. 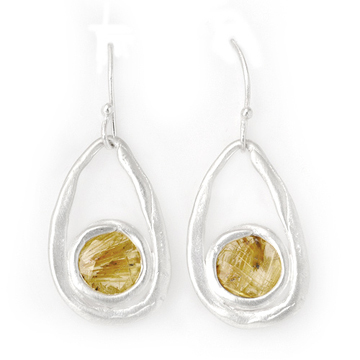 Utilizing the highest-quality examples of freshwater pearls, semi-precious stones–including Turquoise, Red Coral, Aquamarine, Peruvian Opals, Agate, Smokey Quartz, Amber, and Lapis Lazuli, just to name a few–as well as saltwater shells and select woods, her designs appeal to lovers of both contemporary and classical jewelry styles across the globe! 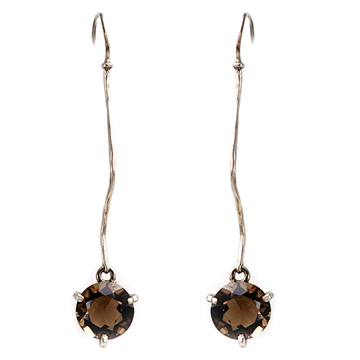 Earrings – Smoky Quartz “Snakedrops”.